ADDvantage delivers Arizona FSBO sellers the most comprehensive flat fee MLS programs available. We offer customized flat fee MLS listing plans, each designed to meet the needs of Arizona FSBO home sellers. Our #1 recommended Altru® contract-to-close flat fee listing program takes the worry out of listing as a self-represented flat fee seller and may just get you more money for your home. Read our flat fee MLS-listed client testimonials and our listing agreements for flat rate MLS sellers and you too will be convinced that we are the most trusted MLS Listing Service in Arizona. GetMoreOffers.com®: professional, reliable, 100% transparent - never any hidden fees or gimmicks. By-Owner MLS listing often means flat service. At GetMoreOffers®, our brand of discount MLS listings include our extraordinary Mon-Thu 9AM-7PM, Fri 9AM-5:30PM, Sat 9AM-5PM, Sun 9AM-4PM live phone support which results in more showings & a quicker sale. Members of several Arizona MLS boards, GetMoreOffers.com® has been a discount MLS listing broker for many years and a real estate brokerage even longer. Listing Flat Fee MLS in Arizona? Pass your commission savings on to the buyer and get SOLD! Look like all other listings in the AZ MLS. Package your Arizona flat fee listing so Realtors® will see your listing in the MLS exactly the same as a full-service agent's listing. List flat fee with Altru® and you'll get more Realtor® showings, worry less about negotiating or filing disclosures, have less stress and likely get a higher sale price. Use a yard sign that promotes a professional image. Realtors® fear For Sale By Owner signs (white and red; generic) because they mean FSBO and not necessarily offering a commission. As well, FSBO signs promote the seller's own phone number and that is not necessarily what a Realtor® wants their buyer to see. The best solution is to use a metal GetMoreOffers® sign with our number on it. This means you get a professional MLS administrator answering the phone for you Mon-Thu 9AM-7PM, Fri 9AM-5:30PM, Sat 9AM-5PM, Sun 9AM-4PM, and we forward all buyer leads to you directly and schedule appointments. This service is called Agent Assure® and is $159 as an add-on or free with our Altru® program. List flat fee without giving up the right to sell by yourself and get 100% contract-to-close representation. Contract representation is so important for many reasons but the most critical reason to list using Altru® contract-to-close representation is so Realtors® only talk with and negotiate through Altru® Realty brokers. This assures you peace of mind that there will be no mistakes in getting you the highest offer. Additionally, Realtors® prefer working with another broker as apposed with the seller. List with a trusted and reliable AZ licensed flat fee MLS broker such as those approved by GetMoreOffers.com. Our flat fee MLS sellers frequently give us praise by saying that we are truly light years ahead of other flat fee MLS and full-service companies in Arizona. And they are right because we have invested in the future and understand what sellers need. We have the longest hours in live phone coverage of any flat fee service in America (Mon-Thu 9AM-7PM, Fri 9AM-5:30PM, Sat 9AM-5PM, Sun 9AM-4PM), we forward all buyer leads to sellers in real time, have the best 100% paperless listing software and have special software to track contract negotiations and close deals without a hitch. 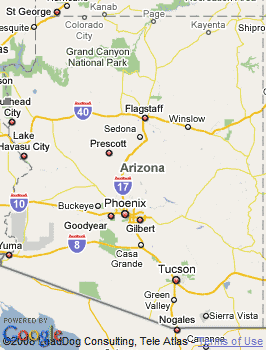 Arizona was the last contiguous state to join the United States of America on February 14, 1912. The capital of Arizona is Pheonix. The state is known for the desert climate that dominates the southern half, though the northern half of the state is covered in forests. Arizona is one of the “Four Corners” states. It borders Colorado, California, New Mexico, Mexico, Utah, and Nevada. The Grand Canyon is located in Arizona, which (along with the warm climate) draws tourism to the state. Arizona is home to several professional sports teams like the Arizona Cardinals (NFL), the Arizona Diamondbacks (MLB), and the Pheonix Suns (NBA). During the spring, Arizona becomes host to several more professional baseball teams for their spring training. Arizona has been home to numerous celebrities, like actor David Spade, architect Frank Lloyd Wright, and actor Emma Stone.